Summary of today’s show: For the past three years Fr. Matt Westcott has been a full-time chaplain to the Catholic student association at Harvard University, providing spiritual guidance to some of the best and brightest intellectuals from around the world. Now he is turning to a very different mission field as he prepares to deply to Afghanistan as a US Navy chaplain serving with the US Marines in that country. Fr. Westcott joins Fr. 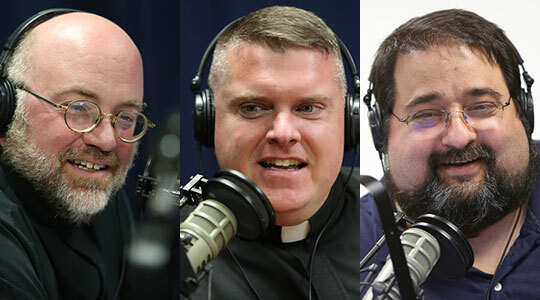 Chip Hines and Dom Bettinelli to discuss his experience at Harvard, including the recent response to the planned Black Mass, and his decision to volunteer to go to Afghanistan as a chaplain. Also, a special message from Scot Landry regarding the future of The Good Catholic Life.